Thursday July 19, 2018: Sharon wrestles with Nick's deceit, Mariah shares good news, and the Winters and Ashby families gather at the hospital. In Devon and Hilary’s penthouse, the phone rings and Shauna is heard on the answering machine imploring Devon to call her when he gets home from his trip. At Neil’s place, he turns up a jazz record and doesn’t hear his cellphone when Shauna tries to call. Nate appears and they debate jazz and rap until a knock comes – it’s Shauna. She tearfully tells Neil he has to come to the hospital; something awful happened. In the hospital, stretchers are wheeled into the ER. At Dark Horse, Nick urges the women to go home and think, but assures them the benefits of joining him will outweigh the cons. He wants to know by tonight who is on his team. Once alone, Sharon complains to Nick that he lied to her. Nick did what he had to do and notes she’s lied before. He promises no more secrets. Sharon loves him, but right now doesn’t like him very much. Nick insists he hasn’t changed, and needs her to be proud of what he’s doing. At the Club, Cane has Mattie call Lily to see what she wants for dinner. 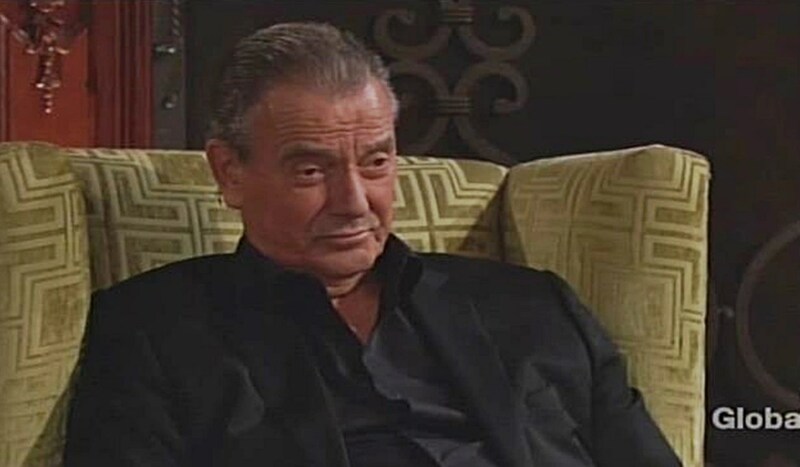 He joins Victor in the dining room to update him that Phillip Chancellor is not Jack’s father. Mattie tells Cane her mom’s not answering. Nikki joins Victor, who informs her that Newman Enterprises has lost another three contracts to a start-up. Nikki reveals it’s Nicholas’ new company, Dark Horse. Neil and Nate greet Charlie at the hospital. He relays that Hilary and his mom have been admitted after a car wreck – he was in the backseat and walked away without a scratch. Shauna and Charlie fill them in on what happened. Shauna was across the street when the truck hit. Nate goes to get information, and Neil phones Mattie’s cell and asks to speak to Cane. At the GCAC, Cane listens to Neil, disconnects, and tells Mattie they need to go. Nearby, Nikki updates Victor on the deals Nick’s made. Victor will see to it he fails. Nikki wants to heal the rift. Vic advises her to tell Nick to fold up shop. At Crimson Lights, Abby, Victoria, and Summer are discussing what Nick’s doing, when he appears. He reminds Victoria and Abby how their dad treated them, and tells Summer this is a chance for her to get in on the ground floor – it could one day be hers. They all receive a text from Nikki to meet. Cane and Mattie arrive at the hospital and get up to speed. Nate appears with information. Lily is conscious with no serious injuries, but Hilary is critical…it’s not good, but they’re trying to save her and the baby. Shauna cries. Neil tries to reach Devon. Soon, Lily appears with Dr. West, who says she’s cleared. Neil wants an update on Hilary. West says they’re doing the best they can, then notices Nate, and exclaims, “What are you doing here?” It turns out he worked with the arrogant Dr. Hastings previously. Nate announces he’s taking over Hilary’s case. After, Charlie gives his dad more detail on the lead up to the accident – he doesn’t think Lily remembers it was her who blew the red light. In the OR, Nate argues with West about operating on Hilary. Nate’s determined to save her and the baby. Later, Nate stares dejectedly at an empty stretcher. He joins the others in the waiting area and they embrace as he delivers bad news. More: Could Mishael Morgan join GH? At Sharon’s place, she listens as Mariah says it sounds like Nick’s been body-snatched. Sharon asks for good news and Mariah shares she and Tessa have decided to try and make it work. Sharon embraces Mariah, but warns her to take it slow. After, she apologizes for letting her feelings about Nick color her reaction. Mariah advises you can’t take a second-chance for granted and credits Hilary with helping her see that. At the Club, Nikki, beside Victor, tells Nick, Abby, Victoria, and Summer this is a Newman family summit. Nick’s uninterested, but Nikki persists. She suggests Nick and Victor become partners. Nick’s determined to succeed on his own, but Victor mocks his mid-level deals. Nick counters by revealing that Noah has defected; he’ll set up a London office for Dark Horse. Summer tells Nick she can’t leave Fenmore’s, but Abby says she’s in. She explains to Victor that she wasn’t treated fairly by him – she’ll take this chance to prove herself. Nikki sticks by Victor. Victoria holds off on making her decision. Nick has a final announcement. Jack appears. Nick introduces him as Dark Horse’s executive consultant and board member. Victor mocks how Jack has fallen and deems the venture ‘bound to fail’. After, Nikki moans, “That went well…” Victor reassures her it’s best to let them experience failure. Nikki walks off, and Victoria tells Victor she’ll stay, but wants it in writing that she’ll take over when he steps down, and wants the COO job. Victor will have it drawn up. Nick arrives at home, where Mariah, alone, warns him Sharon’s messed up from his lying to her. At Crimson Lights, Sharon sits alone deep in thought. Ashley contemplates a new alliance.